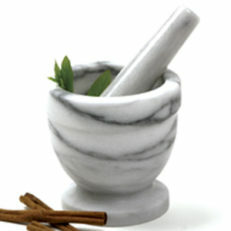 SKU: SKU-2784 Categories: Homestead Supplies, Kitchen Hardware & Everyday Tools, Sale! 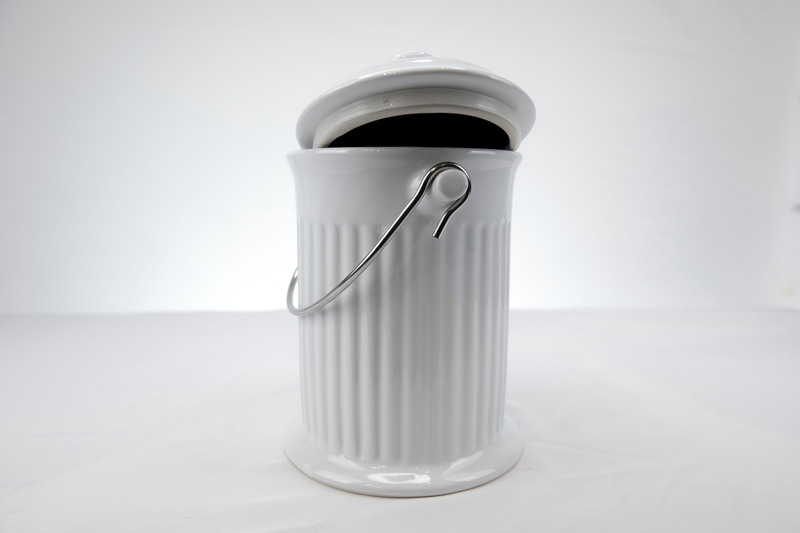 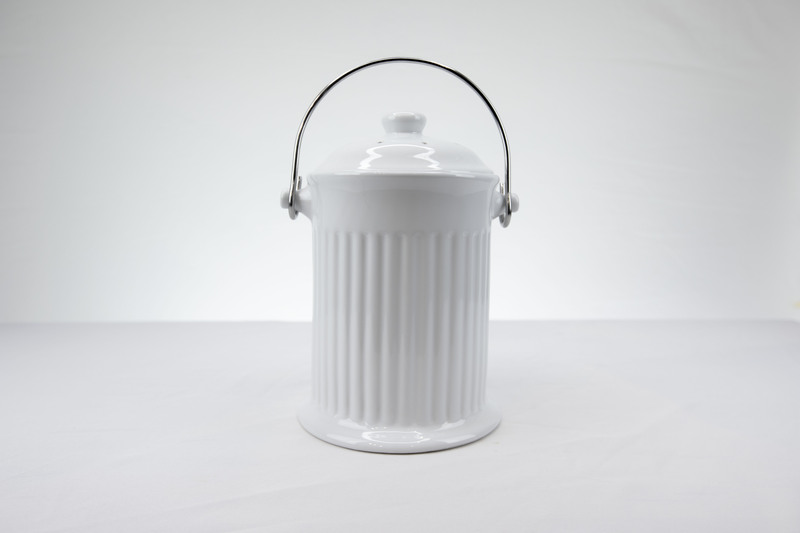 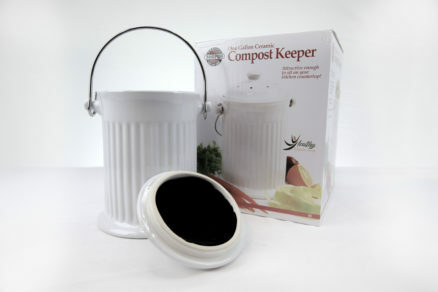 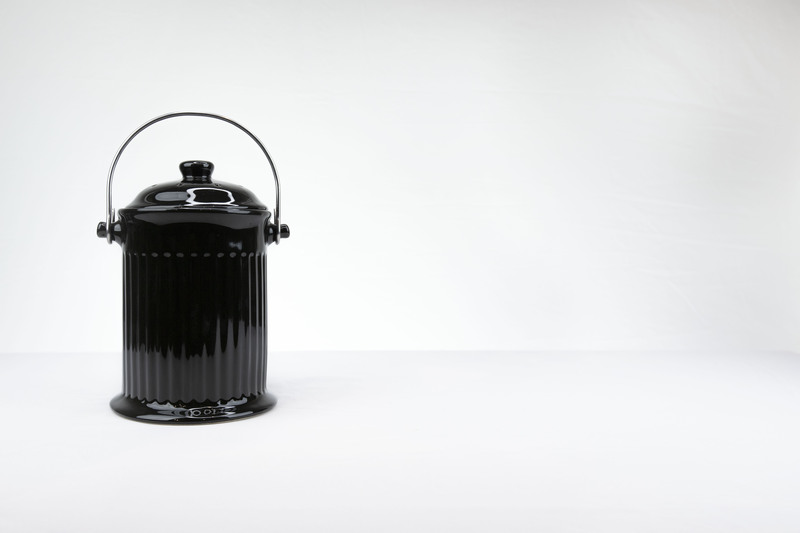 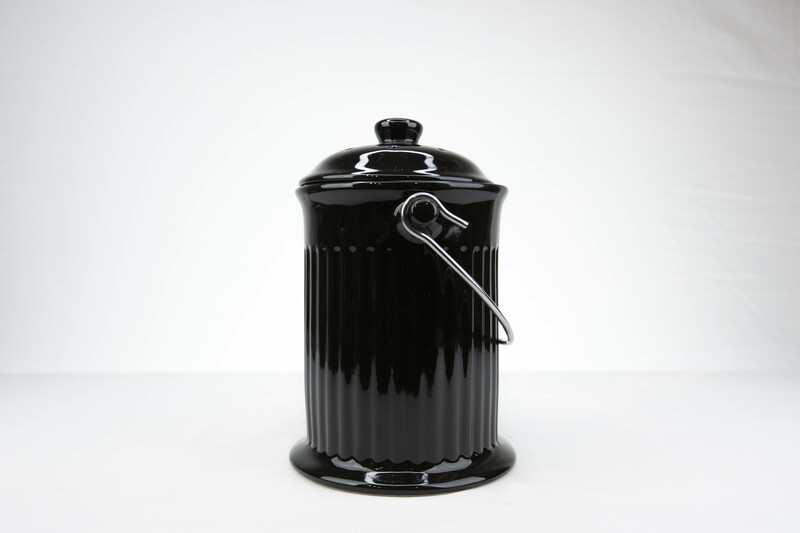 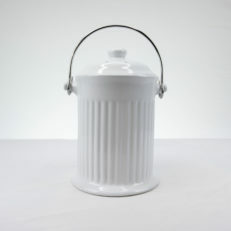 This 1 gallon ceramic compost keeper is perfect for any countertop, whether you go with white or black appliances! 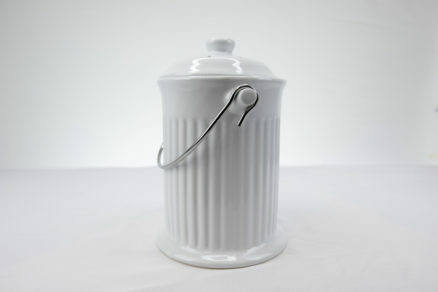 Elegant ceramic design and sturdy stainless steel handle for easy transport. 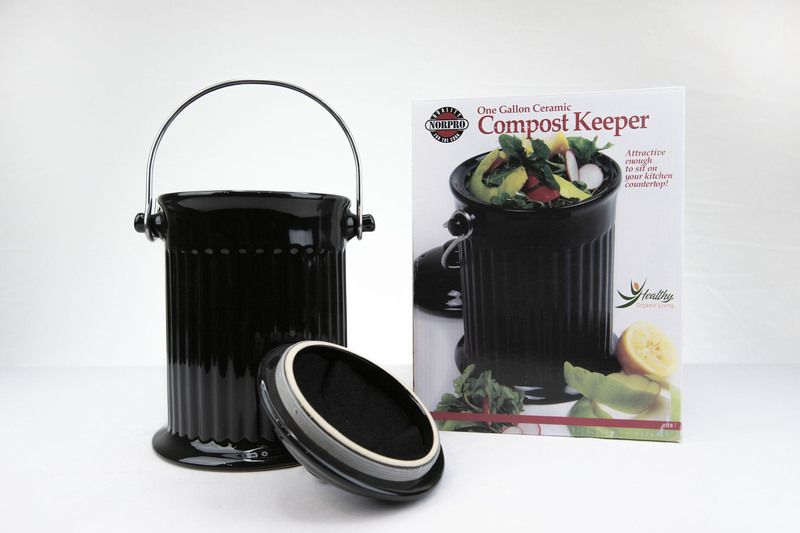 Store peelings, egg shells, coffee grounds, loose tea, herbs, flowers, fruit and vegetable scraps for transfer to your garden compost. The best way to build your soil is to return the scraps to it; nothing makes it simpler than having a countertop unit to collect scraps inbetween garden trips. 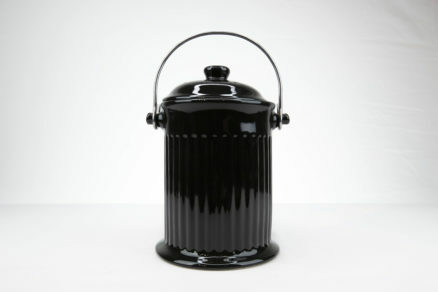 Includes a washable charcoal free odor preventing filter in lid. 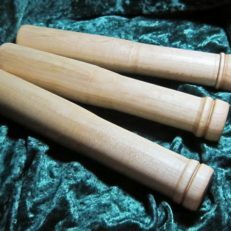 Wash with warm soapy water, rinse and dry. 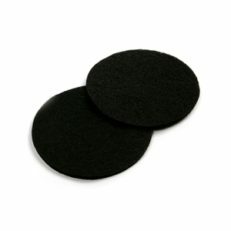 Use replacement filter 93F (sold separately at Pantry Paratus). 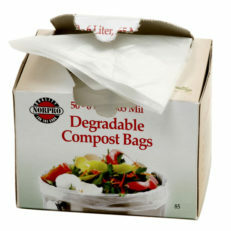 Get the degradable compost bags for easy cleanup. 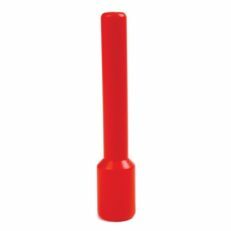 Interested in Red? 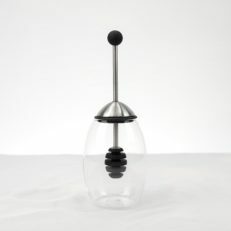 We don’t have them in stock, but can order it for you! 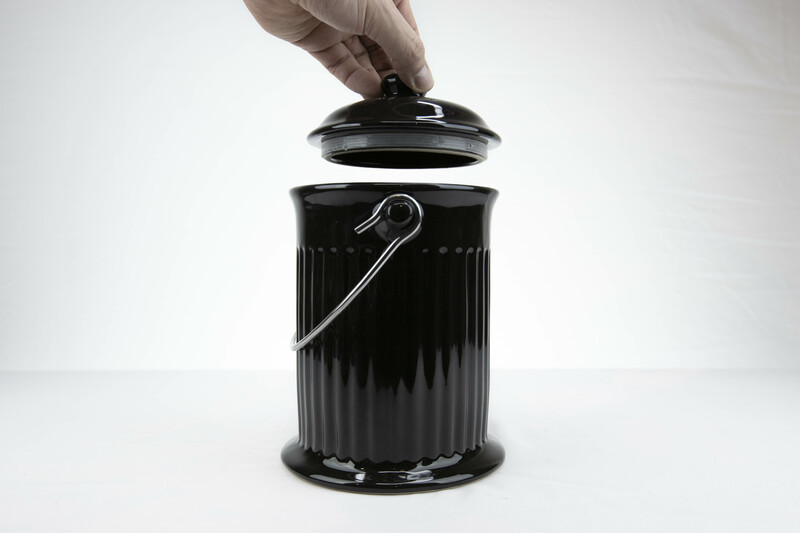 Call us at: 406-334-0185.